"Casino Royale" might be the best bar mitzvah theme EVER. I wanted to make sure when this dude looked back on the day he became a man, he'd feel like "I'm the f*^$#ing MAN." Bond with the untied bow tie says it alllllll. I also couldn't look past "casino" and "Sam" and not think of Sand's Casino. 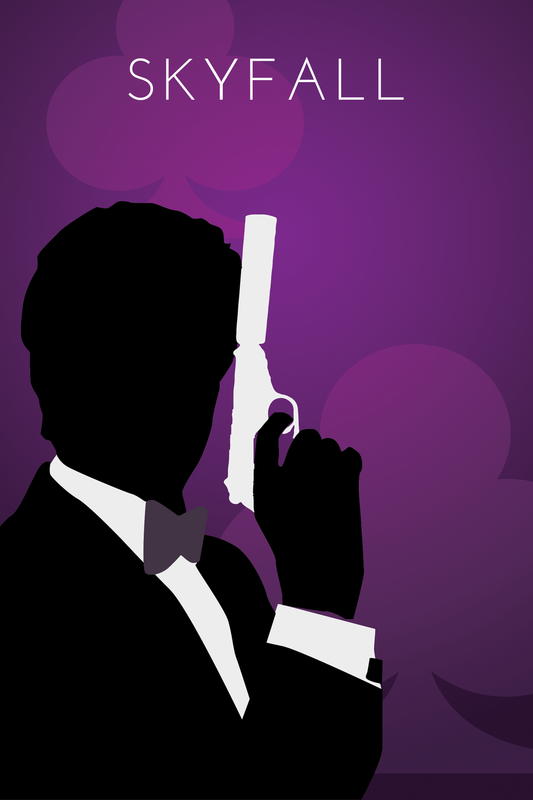 "Sam's Casino Royale" is based off the Sand's logo. 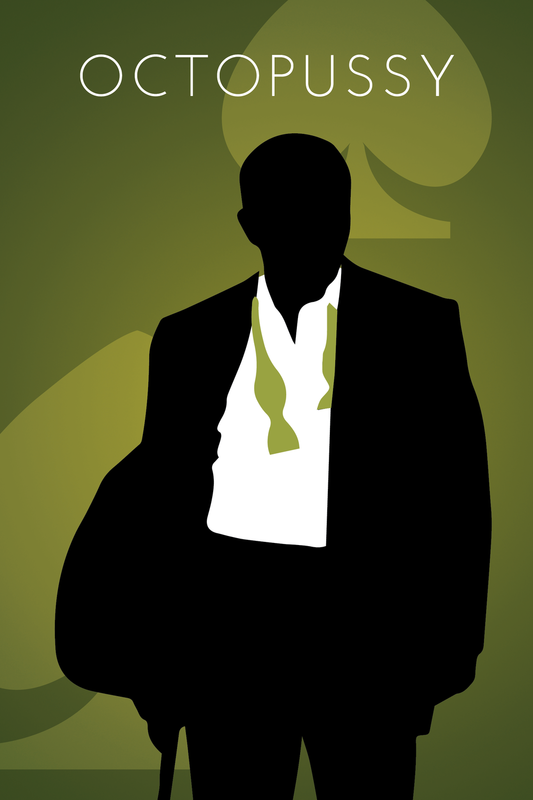 I'm a huge fan of all things Googie and old-school Vegas, and I think I missed my calling being part of the Rat Pack. 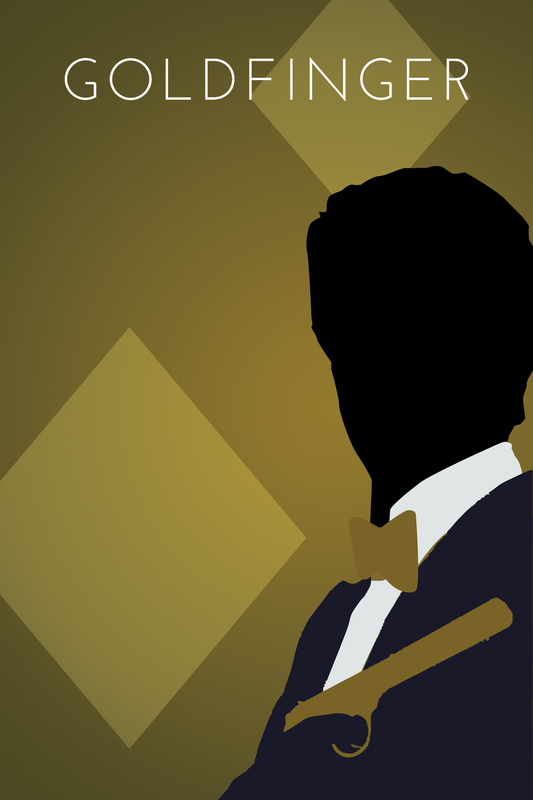 I had to do some Bond research though, because while I get "casino cool," I've actually NEVER seen a James Bond film. 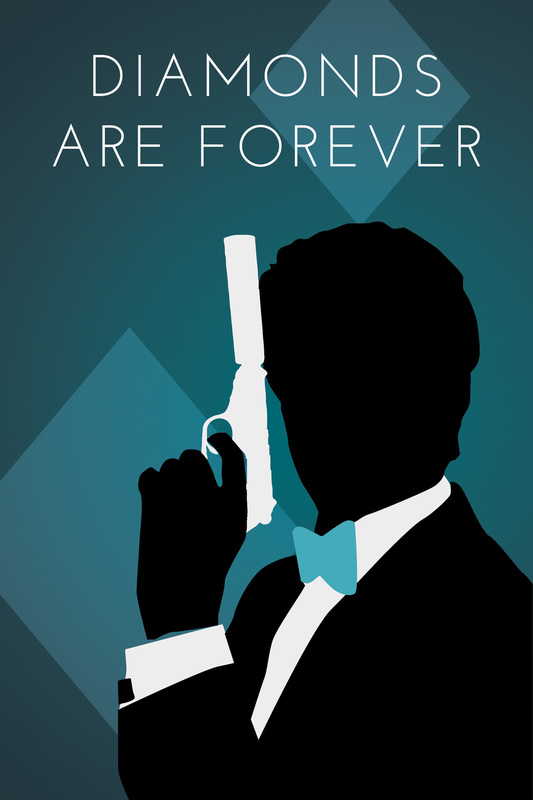 Any Bond. Ever. I learned that Skyfall is perhaps the film with the most beautiful promotional materials and fan art in Bond history. So much beauty in the simplicity and clean typography. Here's the DJ booth lookin' crazy hot :^) I REALLY love the glow of the booth, the balloons and the lighting. The whole room felt total lux. I didn't realize how...opulent the party floor on Maggiano's at Northpark is. The DJ booth actually lit up and the overlay of Bond was translucent, so the light glowed through. Knowing that, I played with transparency and overlay with the heart, ace, spade and diamond. Total subtle lux chic. 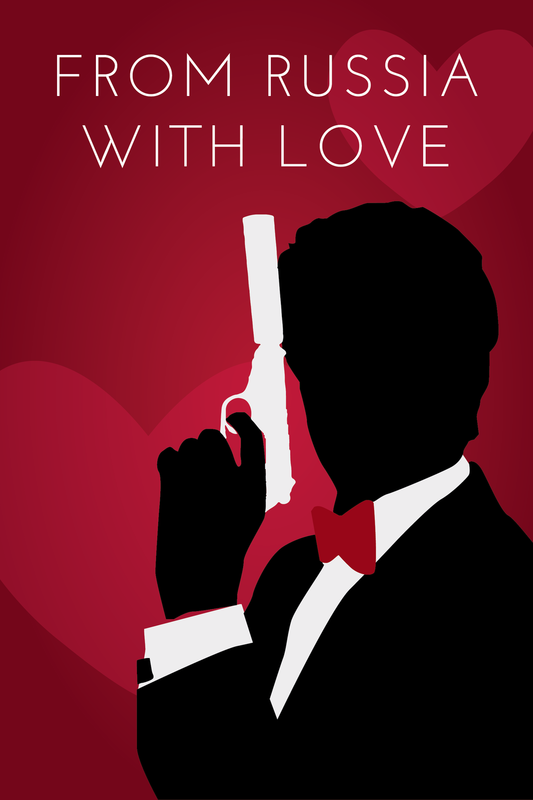 These were posters at the centerpiece of each table, which were named after Bond movies.